As Centric Design Studio (CDS) steps into the historical residential design market, we find the task challenging and extremely interesting. Our client - the home owner - is a professional and well established in the medical industry. This single bachelor decided to purchase his home in an affluent area of northwest Detroit, right off the beautiful surroundings of the Palmer Park Golf course - a place where many people only dream about living. The total size of the home is 4,000 s.f., and about half of the existing square footage is projected to be remodeled. 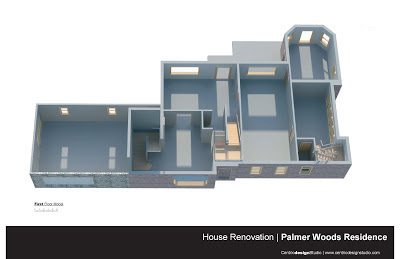 Several changes to the exterior and interior will totally transform the appearance of the traditional-style home, which was built in 1948, into a modern, open space. In this project, the homeowner is looking to transform this traditional Georgian home into a more modern space while keeping certain aspects of the original design. 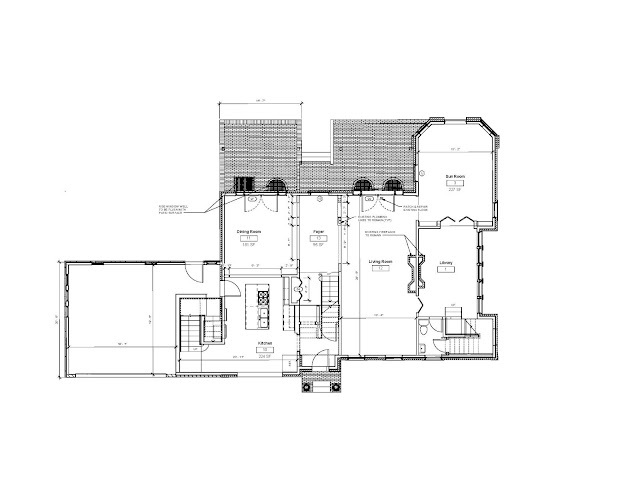 There are three floors and a full basement, but the remodel only involves the first and second floors. 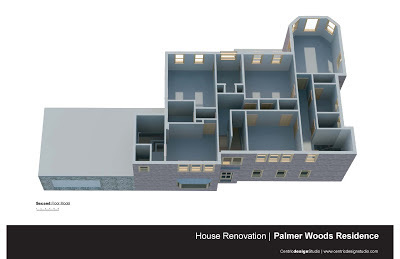 Here are the existing conditions: the east facade faces the golf course and the west facade faces the street; the first floor includes a small kitchen next to a small dining room, and two parallel walls in the foyer separate the dining room from the living room; on the second floor, there are five medium-to-small-sized bedrooms and three small bath rooms. For the kitchen and the dining room area, a wall with a four foot opening that currently separates both spaces will be eliminated, converting the space into one large room. To allow this opening, two 10-inch end walls at opposite sides will act as columns to support an 8-inch LVL (Laminated Veneer Lumber) support beam installed to support the load from the floor above. Four additional openings will be created along the two walls in the foyer at distances of 7-6" and 2'-6". Both foyer walls are load bearing, requiring the installation of a 10-inch LVL beam support to cover the large span. Two additional pier walls will be built to support the load placed onto the LVL beam. The wall leading into the living room (off the foyer) will have similar openings as the wall along the kitchen and dining room. 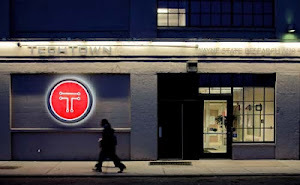 These changes will truly open up the first floor area. 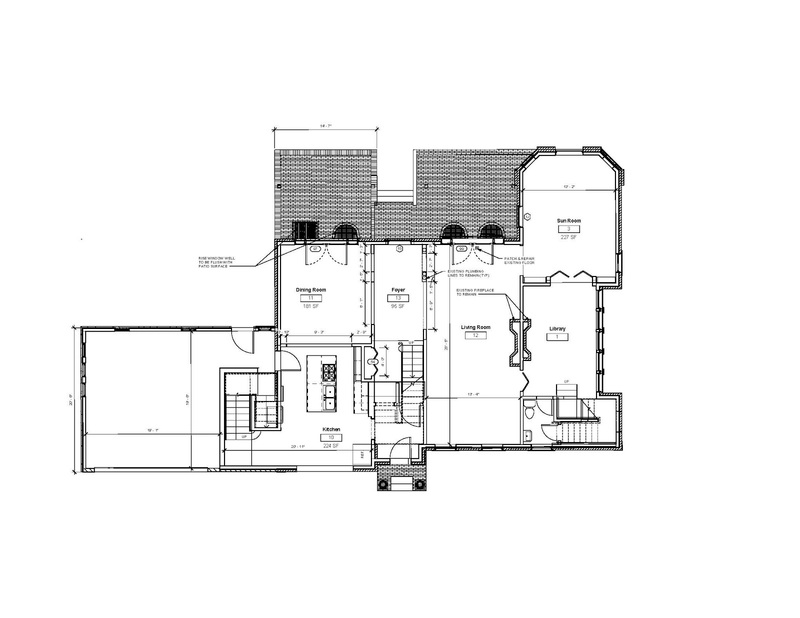 The existing second floor has five bedroom and three full bathrooms. In the remodeled space, the number of bedrooms will be reduced to three. 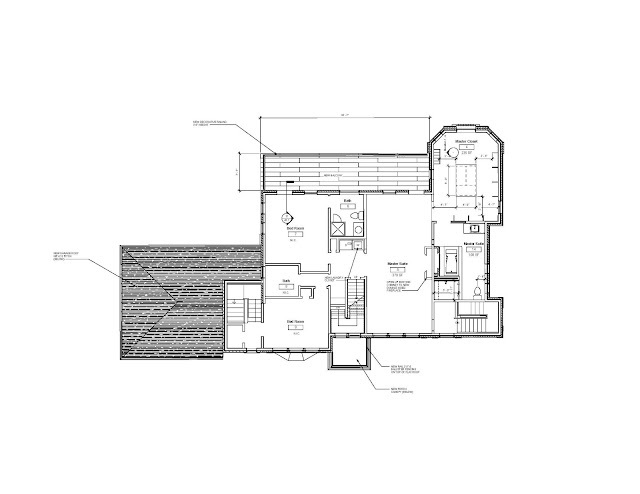 Two existing rooms will be combined, becoming a master suite that encompasses a walk-in closet of over 230 s.f. 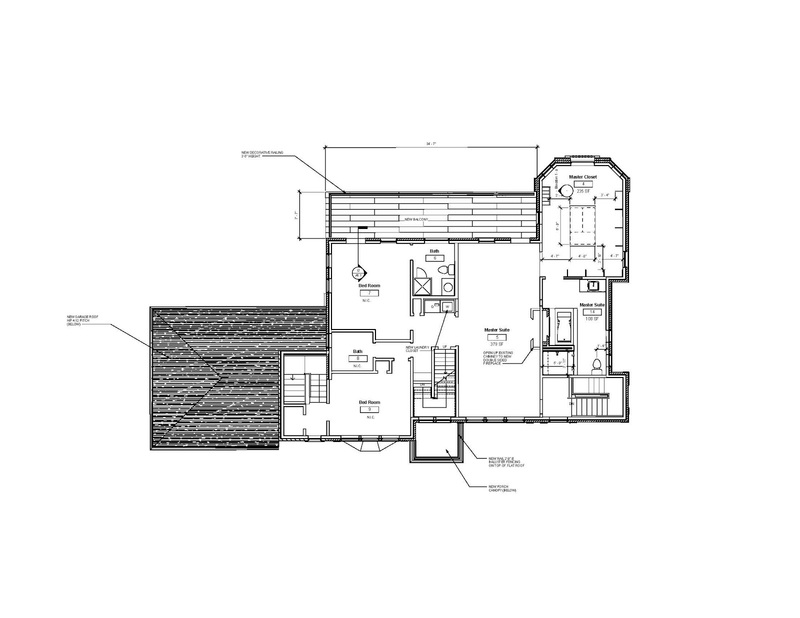 Adjacent to the walk-closet will be the master bath, furnished with a lavish Jacuzzi tub as well as a double faced fireplace that shares the master bedroom wall. Another modern upgrade will be a washer and dryer installed inside a new linen closet off the central staircase. Outside, the east facade facing the golf course will substantially change. The existing portico with columns and its half round pediment at the rear entrance will be removed as well as the two picture windows on opposite sides of the rear door. French doors with side lights will replace the current one. The original rear entrance removed and replaced by a floor to ceiling French window. These changes will create two rear entrances that will be be located in the dining and living rooms. Also, the existing brick patio will be extended twice its current length to the full length of the house. At the west facade, the bow window inside the kitchen will be replaced with a bay window. The fieldstone along the face of the garage, along with the retaining wall that supports the planter at the porch at the main entrance, will be replaced with a light limestone to give a more attractive appearance. 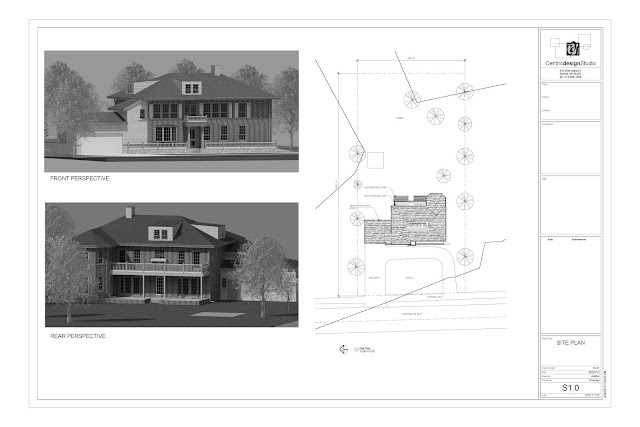 With all the new changes to the home, CDS was able to create this transformation using REVIT 3D modeling software and BIM technology, assisting the owner in visualizing the final outcome. So far, the photo-realistic interpretation has been a great success, allowing the home owner to uncover some of his hidden creative aspirations - he has since made more changes. 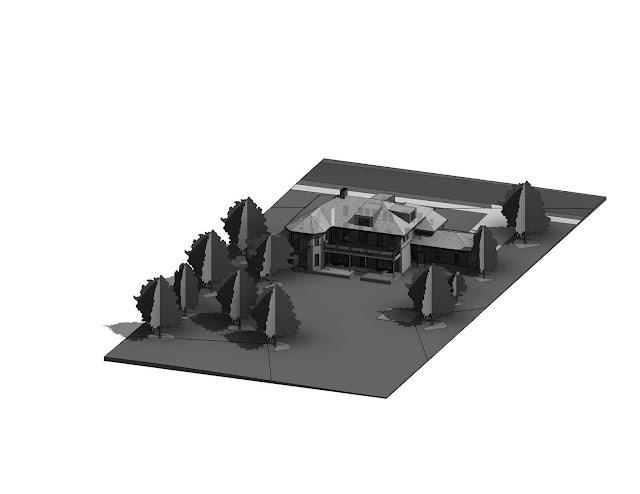 Now that construction is underway, we can't wait to see how close the REVIT model and the actual finished product will be. Sounds really great. Will you post updated pictures of the complete project? Glad you're enjoying the progress. Yes, we will continue to post photos as the project continues and is completed.